Please note we will be closed for staff training on Wednesday 28th March, we apologise for any inconvenience caused. Have a painting experience like no other! 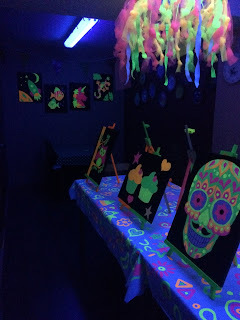 We've 'blacked out' our party room to create a semi-dark painting room with UV lights making the paints and decorations glow in the dark! Use our neon paints to create a 16" x 20" canvas masterpiece. Glow sticks will be provided for everyone, plus glow in the dark face paint and we have white t-shirts to wear during the workshop so we can easily see you! We have many designs to choose from, with the canvases able to be taken home on the day or left with us over night to finish drying. Suitable for all aged 7 and over - including adults! Painters will need to be left as there is not room in the dark for non-painters but are welcome to wait downstairs on our sofas or why not paint some pottery! Squash/water will be supplied. £15 per painter. FACEBOOK PAGE IS NOT ACCEPTED AS A METHOD OF BOOKING. Payment is required at the time of booking. Please phone the shop or pop in to book - 01233 631388, or with any questions/ for more info. Limited spaces available. Please note our opening hours over the festive period. These are the spaces now available for upcoming storytime sessions. If you'd like to book you can either phone the shop during opening hours or comment through the post on our Facebook page.. If you comment on our Facebook post, we will 'like' your comment to confirm you are booked in, please make sure you check back for this as Facebook isn't always very good at notifying you! Remember all sessions cost £6 per child which includes the reading of the story, the pottery shape and squash and biscuits. It is open to children up to age of four and broadly speaking suitable from the age of two, although this does depend on the child and their skills and experiences. 'Pig's Eggs' - painting an egg with the help of shaving foam - please ask if you have any allergy concerns. It's August! Christmas IS coming! The Christmas early birds have arrived! 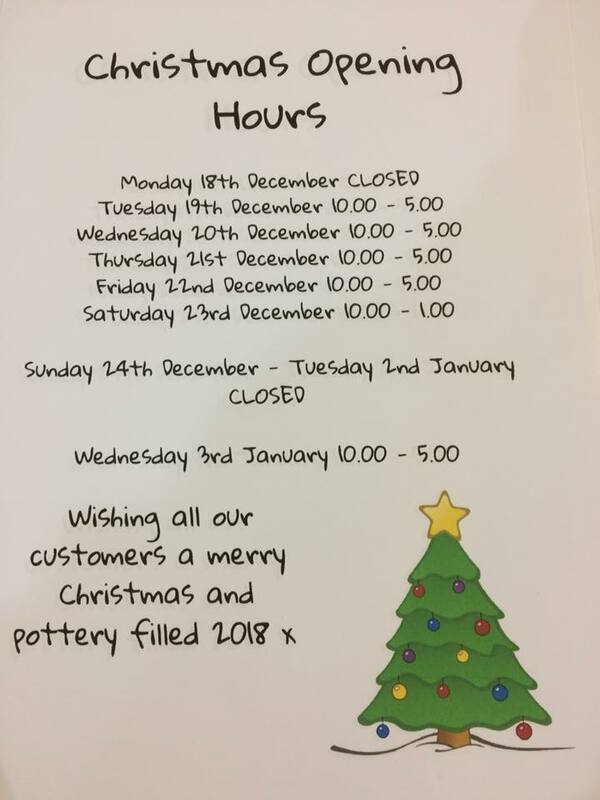 Bookings are already being taken for Christmas painting at Kippy's and we are in full planning mode for toddler storytime, fantastic offers for community groups, choosing our Christmas bisque and painting samples. If you're thinking about bringing your group to us or would like us to come your venue this Autumn and Christmas please get int ouch soon to avoid disappointment. Check our Facebook page for all the latest news and pictures of the Christmas pottery as they arrive. To celebrate our birthday we are having some special offers, including on our children's parties and a £5 sale later in the month. To keep up to date with all that's happening check out our page on Facebook. In the event of a tie a winner will be drawn at random from those tied guesses. The closing date for guessing is 5pm on Tuesday 5th July and the winner will announced during our adult evening that night.